I am going on vacation and need to lock and secure my garage door. A thief got in my neighbors garage while they were on holiday. 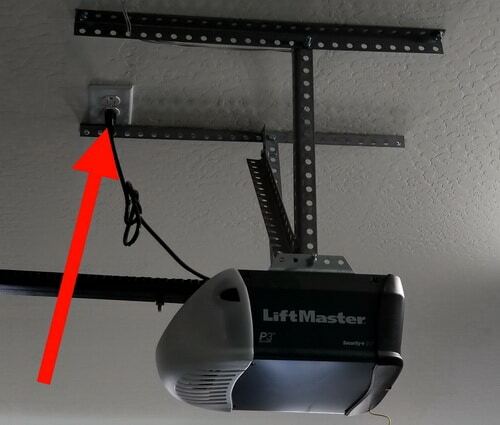 I have an automatic garage door opener in a 2 car garage. I would like to know how to make a garage door more secure from the inside. 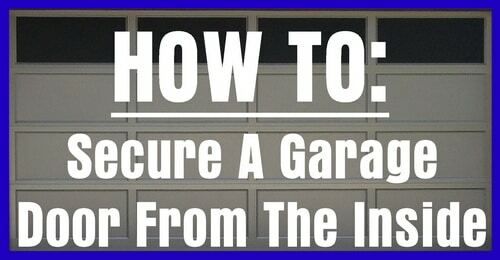 To lock the garage door from the inside there are some easy and simple methods you can use. These methods are inexpensive and fast. Secure your garage door whenever you go on vacation or leave your home for a long period of time. Garage door openers have an emergency release lever. This lever is for when you lose electrical power and you cannot open the garage door. 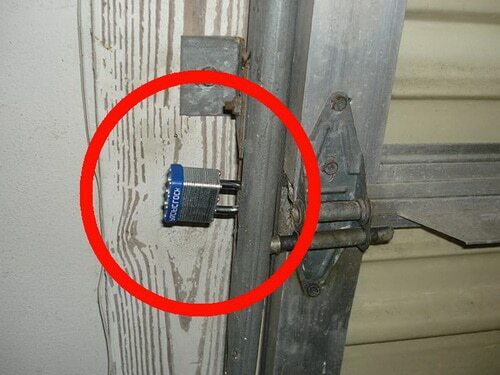 Thieves can use this to get into your garage. By using a clothes hanger and pulling the lever, the door can manually be opened. 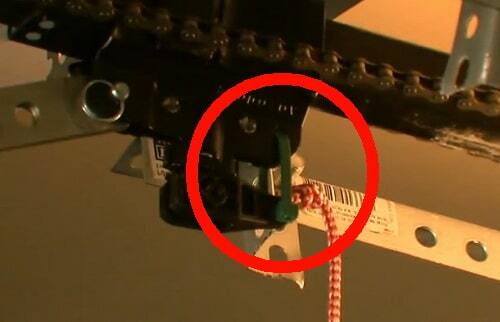 Put a zip tie on the manual release latch. This prevents the door from being pulled and opened. If the garage door vertical track is locked, the door cannot be opened. Use a key padlock on the vertical track to prevent the door from being opened manually. There will be holes in the vertical track that can be used with a simple padlock. If no holes are present, you can drill some using a hand drill and a drill bit for metal. A side lock for garage doors lets you lock the garage door from the inside. This lock attaches to the inside of the garage door. The lock slides the latch into the garage door vertical track and locks the garage door. Your garage door may not have an area for the latch to slide into. Most garage doors have a square knockout that can be removed. The side lock will need to be installed on the garage door using 4 bolts. If no holes are present, you can drill holes using a hand drill and a metal drill bit. 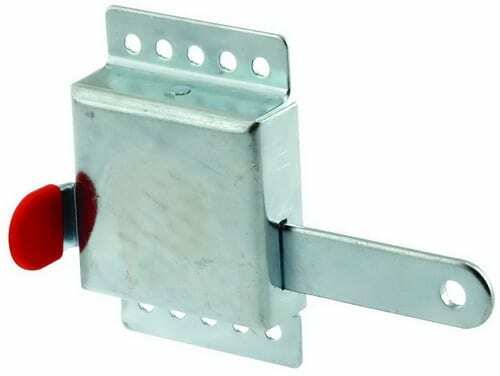 A garage door side lock can be purchased for under $10 dollars. It should take 15 minutes or less to install a side lock to secure your garage. Need help securing your garage door? Please leave your issue below and we will be happy to assist. Previous post: AC Not Blowing Cold – How To Get Air Conditioner To Blow Cool Air?